The museum called Raj Kapoor Memorial - the Golden Era of Indian Cinema revives legendary moments from Kapoor’s filmography. The museum stands beside Raj Kapoor’s bungalow, which he used as a holiday home. 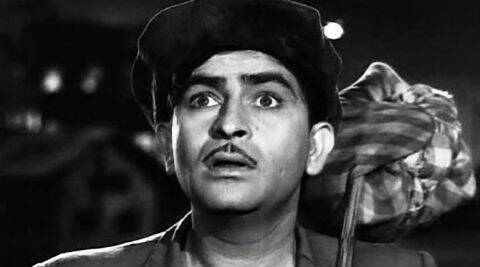 To mark the legacy of Raj Kapoor, a museum built on the Rajbaugh campus of MAEER’s MIT College in Loni was inaugurated by his sons Randhir and Rajeev on May 16. This is the same 125-acre property that was donated a decade ago by the Kapoor family to Vishwanath Karad, the founder of the college. The museum stands beside Raj Kapoor’s bungalow, which he used as a holiday home. “We have spent most of our childhood years at this place; it is very close to my heart,” said Randhir, who, along with his younger brother, cut the ribbon and took a tour of the museum. The museum called Raj Kapoor Memorial – the Golden Era of Indian Cinema revives legendary moments from Kapoor’s filmography. It is the same location where Satyam Shivam Sundaram, Mera Naam Joker, Bobby and Prem Rog were shot. It hosts 50 statues of characters from his iconic films. There are also statues of Marathi cinema artistes such as Jayashree Gadkar, Dada Kondke, Nilu Phule, Sharad Talwalkar and Vasant Shinde. After taking a tour of the museum, the Kapoor brothers treated themselves to a dance routine based on famous Raj Kapoor songs presented by Hrishikesh Pawar’s group. A short film by Sanjay Upadhya that captures Kapoor’s contribution to cinema was also screened.